We are so glad you joined us for a SPOOKTACULAR week showcasing the NEW HALLOWEEN Stamps, Dies and Frames & Shapes!! In this new release we have FOUR new stamps, THREE new dies and ONE new Frames & Shapes Kit. Dragon Luka, Cauldron Witch Marci, Bat Girl Marci, and Scarecrow Marci. 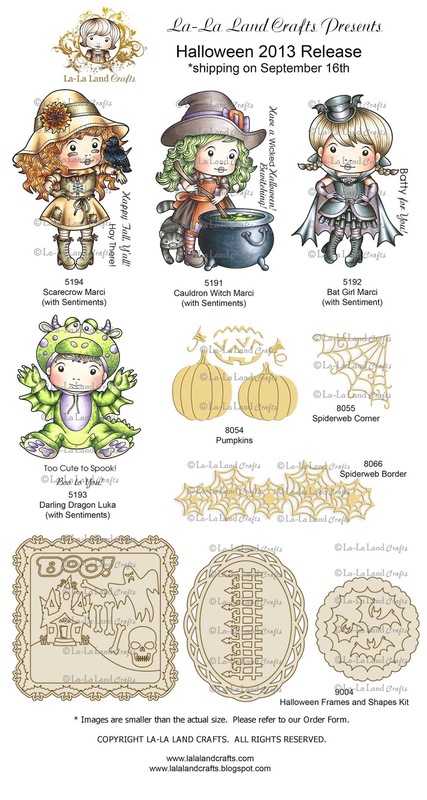 Pumpkins & Jack-o-Lantern Set, Spiderweb Corner, and Spiderweb Border. Last, but not least, we have an awesome Halloween Frames & Shapes Kit! !